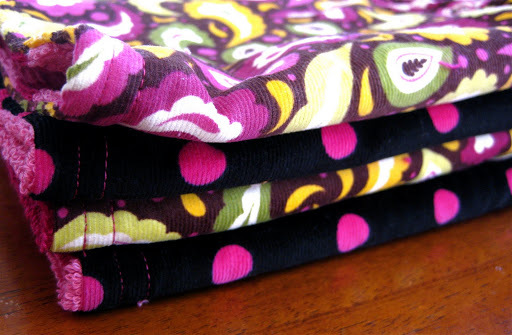 I was in the mood to get my sewing machine out this week and I have a whole list of sewing projects I wanted to try. 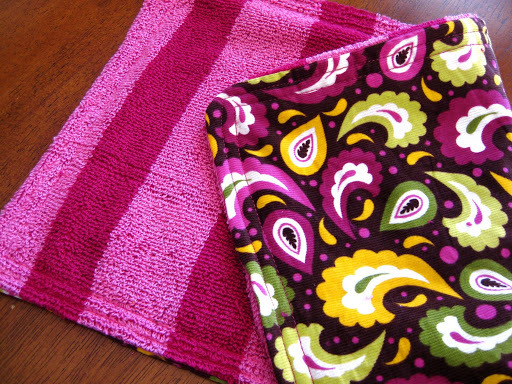 I decided to start by making some burp cloths for the babe in some fun colors. I just love shopping for fabric. My mind starts going in all kinds of directions when I see all the colors and patterns and textures! 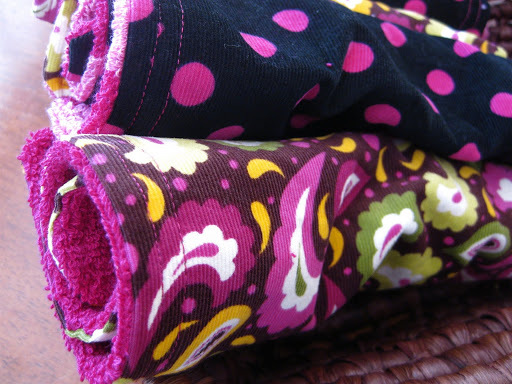 So many fun things to make – so little time!! I bought the floral and polka dot corduroy fabric on clearance at Hobby Lobby. The striped pink terrycloth side is made from a towel that I bought at Target. 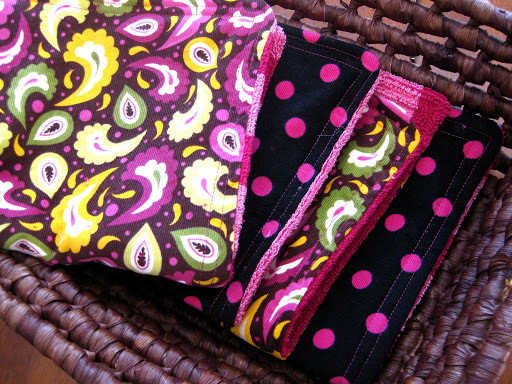 To make the burp cloths, I followed the simple tutorial on Jones Design Company’s blog. And it really IS a very simple project! 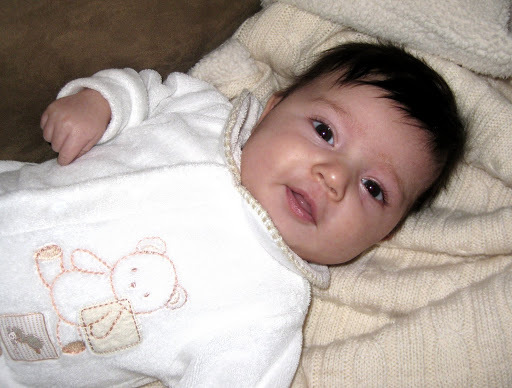 To show her gratitude for the burp cloths, babe spit up on me, then gave me a smile. Oh, glory, how I love that edible little munchkin!